G&W Chairman, President and CEO Jack Hellmann. Genesee & Wyoming is considering a major change to its financial structure and ownership, and is exploring either taking on a strategic investment partner or an outright sale, according to a report from Bloomberg. The short line holding company has been working with a financial advisor, according to the report, and also has been in early-stage discussions with potential suitors including Toronto-based Brookfield Asset Management and other infrastructure-investment firms. 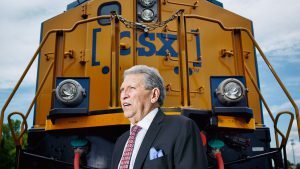 Shares of G&W—which operates 120 railroads in North America, Europe, the U.K. and Australia and boasts 8,000 employees—surged 9% to $87.53 at close on March 8. 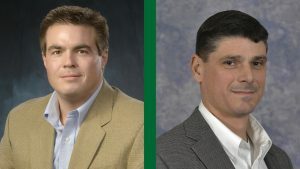 The Darien, Conn.-based company has a market value of $4.9 billion; however, after it released financial results last month, analysts said about 20% of its North American business could come under volume or price pressure amid softening in the truckload shipping market. North American business contributes roughly 85% of G&W’s operating income, according to the report. Genesee & Wyoming has a history of deals with private investors, as in 2012, when Carlyle Group LP invested upwards of $800 million so G&W could acquire RailAmerica Inc. Then in 2016, G&W bought Glencore Rail and simultaneously sold a 49% stake in that to Macquarie Group Ltd.’s Macquarie Infrastructure and Real Assets unit. 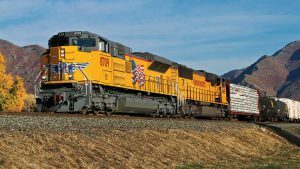 G&W’s Rapid City, Pierre & Eastern is Railway Age’s 2019 Regional Railroad of the Year. 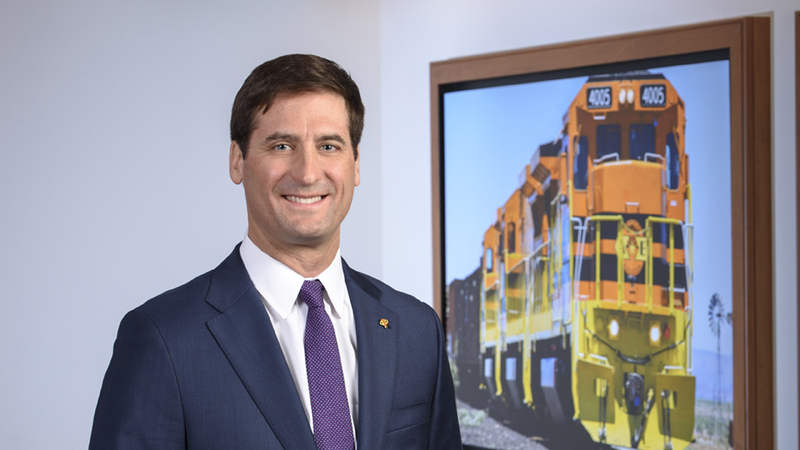 Chairman, President and CEO Jack Hellmann was Railway Age’s 2018 Railroader of the Year.